Extracting information from www.gg.gov.au/australia-day-2019-honours-list, below are the Nurses named on the 2019 Australia Day Honours List. For service to the community through alcohol and drug dependence groups. Founder and President, The Ice Meltdown Project, since 2014. Nominee, Victorian Local Hero Australian of the Year, 2018. For significant service to community health, particularly to cancer control and nursing. Chief Executive Officer, Cancer Council Australia, since 2015. Director of Cancer Nursing and Research, Peter MacCallum Cancer Centre, 2001-2015. Special Professor, School of Nursing, University of Nottingham, UK, 2004-2010. Head, Department of Nursing, University of Melbourne, 2006-2011 and Deputy Head, 1997-2001. Associate Professor, Palliative Care Nursing, Centre for Palliative Care, 1997. President, Union of International Cancer Control, since 2016 and Board Member, since 2010. President, International Society of Nurses in Cancer Care, 2006-2010 and Board Member, 1992-2012. Board Member, International Collaboration on Cancer Reporting, since 2016. Member, National Cancer Expert Reference Group, Commonwealth Department of Health. Member, Oncology Clinical Committee, National Health and Medical Research Council, since 2016 and Member, Palliative Care Research Working Committee, 2004-2008. Member, Data and Research Advisory Committee, Cancer Australia. Australian Institute of Health and Welfare, since 2015. Honorary Life Fellow, Cancer Nursing Society of Australia, 2017. Recipient, Distinguished Merit Award, International Society of Nurses in Cancer Care, 2016. Recipient, Nursing Excellence Award, Cancer Nursing Society of Australia, 2009.
International Fellow, American Academy of Nurses, 2009. Bonnie Bullough Lecture, School of Nursing, University of Buffalo, USA, 2006. Royal Tiffany Lectureship, Royal Marsden Hospital, UK, 2001. Recipient, International Award for Contributions to Cancer Care, US Oncology Nursing Society, 2001. For service to community health through neonatal organisations, and to aviation. Instructor, Neonatal Resuscitation, Dar es Salaam, Tanzania, current. Clinical Midwife, Amana Hospital, Dar es Salaam, Tanzania, current. Nurse, Buderim Private Hospital, July 2013. Former Nurse, Nelson Polytechnic, Nelson, New Zealand. Former Registered Nurse, Renal and Plastic Ward, Tauranga, New Zealand. Former Midwife, King George V Hospital/Royal Prince Alfred Hospital. Memorial Hospital/Royal Prince Alfred Hospital. Former Midwife, Kimbe Maternity, Papua New Guinea. Chair, Cherish Foundation and Deputy Chair, Finance and Audit Committee. Board Member and Treasurer, Helicopter Association International, since 2015. Co-Founder and Chief Executive Officer, Becker Helicopters, since 1996. Outstanding Alumnus, University of Sunshine Coast, 2017. Recipient, Telstra Queensland Business Women’s Owner Award, 2014. Recipient, National Telstra Medium Business Awards, 2013. For outstanding devotion to duty in the field of Defence nursing and personnel support. Lieutenant Commander Caton demonstrated outstanding devotion to duty as a Nursing Officer and Member Support Coordinator. Her dedication to supporting injured and ill members of the Royal Australian Navy in their return to the workforce or assisting with their transition to civilian life when they can no longer serve, has directly contributed to the wellbeing of these members and their families during times of significant stress. Member, Aboriginal Advisory Committee, current. Past Treasurer and Committee Member, up until 2016. Founding Member, Boorndawan Willam Healing Service. Founding Member, Mullum Mullum Indigenous Gathering Place. Lecturer & Early Career Researcher – speciality: Indigenous Health and Culture, current. Lead, Building Cultural Capacity Project – current. Inaugural Fellow, Congress of Aboriginal and Torres Strait Islander Nurses and Midwives, since 2016. Executive Member, Eastern Metropolitan Region ‘closing the health gap plan’, 2009-2013. Clinical Care Coordinator, Indigenous Health Team, Yarra Valley Community Health, 1999-2010. Founder,’Good Food, Great Kids’, Indigenous Community Nutrition Project, 2002-2004, Awardee, Excellence in community engagement, Victorian Public Healthcare Award, 2007. Citizen of the Year, Yarra Ranges Council, 2017. Inductee, Victorian Honour Roll of Women, 2016. NAIDOC Eastern Metropolitan Region Indigenous Elder Award, 2011. Yarra Ranges Council Acknowledgement for Health and Wellbeing Work Award, 2010. Victorian State Nurse Excellence Award, 2009. Australian Thanksgiving Day Award, 2007 for work in the Indigenous community. NAIDOC Community Recognition Certificate, 2007. For significant service to the Indigenous community, and to the 1967 Referendum Campaign. Board Member, since approx. 2002. Involved in the establishment of the Cooperative, July 1971. Former Board Member, National Aboriginal and Torres Strait Islander Women’s Alliance. Activist for Indigenous rights, health and social welfare, ongoing. and to allow the Commonwealth government to make laws for Aboriginal people). Honorary Member, New South Wales College of Nursing. Former Board Member, Carers New South Wales. Board Member, Bangarra Dance Theatre, for 9 years from establishment. Awarded the Medal of the Order of Australia, 1994. Founder, Clinical Support Unit, Caulfield General Medical Centre, 2001. Associate Professor of Gerontic Nursing, La Trobe University, since 2001. Member, Australian Association of Gerontology, 1987-2006. Consultant, Aged Care Home Care Implementation, Singapore, Hong Kong, Japan, 1996-1997. Former Board Member, Australian Centre for Evidence Based Aged Care. Former Consultant, Montefiore, Royal Freemasons’, Bundoora Aged Care, Vision Australia. Author, Understanding Dementia Care and Sexuality in Residential Facilities, 2010. Representative, National Aged Care Alliance Committee, 2000. Member, Collegian Editorial Panel, 2 years. Associate Dean, Faculty of Nursing, 1995-1997. Associate Professor Gerontological Nursing, 1992-1997. Head, Department of Community and Mental Health Nursing, 1987-1995. Head, Department Primary Health Care Practice, 1995. Distinguished Member, Australian Association of Gerontology, 2005. Distinguished Life Fellow, Australian College of Nursing, 2004. Fellow, Australian College of Nursing, 1980. Doctor of Nursing (Honoris Causa), La Trobe University. RMIT Quality and Improvement Award. Centaur Memorial Scholarship for Nurses. For service to the community of Kerang. Co-ordinator, Winter Wonderland Debutante Ball, since 1990. Canteen Volunteer, Kerang Technical High School, since 2004. Volunteer Treasurer, Kerang Community Centre, from August 2018. Canteen Volunteer, St Joseph’s Primary School in Kerang, approximately 1995-2012. Secretary, Kerang Karate Club, for 10 years. Volunteer, St Vincent de Paul Society Op Shop Kerang, current. Past Member, Kerang Show Society Committee. Life Member, Kerang Highland Dance Society. Registered Nurse, Barham Hospital, since 1999. Controller, Kerang Unit, since 2017. Recipient, Senior Citizen of the Year, Gunnawarra Shire Council, 2017. Life Member, Winter Wonderland Debutante Ball Committee. 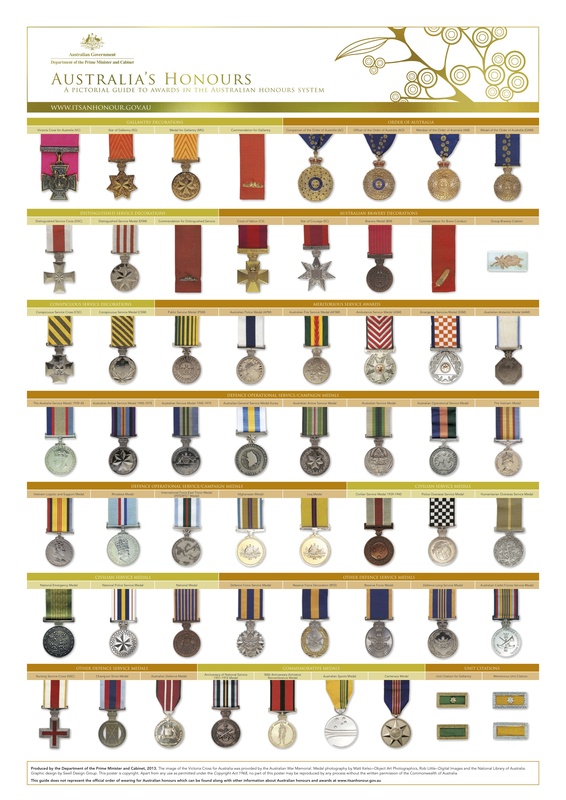 National Medal, for service to Victorian State Emergency Service. Nellie McGillray Award, for bedside manner in nursing, 1998. Mrs Gilchrist is a Yamatji woman. Early Years and Parent Support Coordinator, Wadjak Northside Community Group, since 2016. Team Leader, Personal Helpers and Mentors (PH & M). Regional Aboriginal Health Promotion Coordinator, 2007-2009. Regional Aboriginal Health Coordinator, 2003-2007. Coordinator, Aboriginal Health, East Perth Public and Community Health Unit, Royal Perth Hospital, 1995-January 2003. Lecturer/Tutor, School of Nursing, Curtin University of Technology, 1991-1995. Former Federal Aboriginal Board Member, Churches of Christ. Registered Nurse, Perth Aboriginal Medical Service, 1988-1992. Meritorious Award, Red Cross, 2015. NAIDOC Karlkurla Award, Aboriginal & Torres Strait Islander Employee Section (Kalgoorlie) 8 July 2013. Ophthalmic Advisor and Volunteer, Youth with a Mission Medical Ships (YWAM), Fiji and Papua New Guinea, since 1998. Clinical Advisor and Volunteer, East Timor Eye Project, National Eye Centre, Dili, Timor Leste, 2017-2018. Clinical Consultant, Fred Hollows Foundation New Zealand, National Eye Centre, Dili, Timor Leste, 2015-2016. Clinical Consultant, Lighthouse for Christ Eye Hospital, Mombasa, Kenya, May 2006. Ophthalmic Nurse, Northside Eye Specialists and Queensland Eye Hospital, Brisbane. Palliative Aged Care Nurse Practitioner, since 2014. Nurse, Home Based Palliative Care Community Service, 2003-2007. Palliative Care Nurse Practitioner, 2010-2014. Member, Palliative Care Australia, current. Guest Lecturer, Australian Catholic University. Guest Lecturer, University of Canberra. Co-Author and Contributor, BMJ Supportive and Palliative Care Journal. Assistant Commissioner – Operations, since 2012. Member, St John Council of New South Wales, current. New South Wales Police Force, since 1987. Registered Nurse, Emergency Department, Hornsby Hospital, since 1999. Recipient, Commander of the Order of St John, 2013 (Admission, 2000; Officer, 2009). South Wales, 2014 (First Bar, 1998; Second Bar, 2003; Third Bar, 2008). Recipient, 12 Year Service Medal, St John Ambulance New South Wales, 1993. Inductee, Honorary Life Membership, St John Ambulance New South Wales, 1992. Recipient, Certificate of Merit, St John Ambulance New South Wales, 1991. Nursing: Community Health Nurse Manager, Broome Community Health, 2005-2016. School Health Nurse, Broome, 1994-2005. Community Nurse, Gordon Downs, 1976-1980. Former Registered Nurse Midwife, Halls Creek Hospital, 1980-1982. Former School Health Nurse, Halls Creek Community Health, 1983-1994. Western Australia’s Children’s Hero Award, National Association for Prevention of Child Abuse and Neglect, 2009. For significant service to nursing, and to the community of the Northern Territory. Head, School of Nursing, 1997-2000. Past Senior Lecturer, Department of Nursing. Founder and Curator, Nursing Museum, since 1987. Honorary Secretary and Treasurer, Northern Territory Branch, since 2003. Board Member, Anglicare Northern Territory, 2009-2016. Member, Northern Territory Anzac Community Advisory Committee, 2012-2013. Member, Advisory Council of the Ageing, Northern Territory Government, 2006-2008. Honorary Secretary and Public Officer, History Society of the Northern Territory, since 2003. Honorary Secretary, Northern Territory Euthanasia Society, since 2006. Recipient, Lifetime Achievement Award, Unions NT, 2010. Life Member, National Tertiary Education Union, 1997. Fellow, Royal College of Nursing Australia, 1981-1998. Member, Boulia Bedourie Birdsville Branch, Isolated Children’s Parents Association, 1982-2012. Various Officer Bearer positions, Mount Isa School of the Air, Isolated Children’s Parents Association, 1985-1995. Member, Priority Country Area Programme, 1987-1995. Secretary, Birdsville Social Club, 1978-1990. Nurse and community based worker, 2005-2014. Advocate, Local Ambulance Committee, 2002-2011. Recipient, Citizen of the Year, Diamantina Shire Council, 1989. Senior Sporting Administrator Award, 2013, 2004 and 1998. Recipient, Centenary Medal, ‘for distinguished service to the community’, 2001. For service to medicine through a range of roles. Helped establish the Australian Organ and Tissue Authority. Organ and Tissue Donor Coordinator, since 2002. Involved with the Restorative Justice Program. Founding Member and Director, Donor Families Australia, since 2011. Assistant Professor, Critical Care Nursing, 2010. Course Convenor, Bachelor of Nursing. Donor Families Australia Award, 2016. Special Commendation, University of Canberra Nurse’s Society, 2013. Ben Wiseman Award for Healthcare, ACT Chief Minister’s Awards for Organ Donation Awareness, 2010. Co-ordinator, Barwon Health Midwifery Group Practice, since 2012. Inaugural Program Director, Bachelor of Midwifery Course, Griffith University, 2010-2012. Former Coordinator, Graduate Diploma of Midwifery Program, University of Ballarat. Member, Australian College of Midwives, current. Registered Midwife, Nursing and Midwifery Board of Australia, Australian Health Practitioner Regulatory Agency, since 1977. First designated Palliative Care appointment in New South Wales, 1988. Palliative Care Clinical Nurse Consultant, current. Rural and Remote Palliative Care Nurse Forum. Member, Management Committee, since 2004. Chair, Awareness and Communications Sub-Committee, current. Palliative Care Nurse Consultant, Head and Neck Multidisciplinary Team, Chris O’Brien Lifehouse, since 2000. Member, NSW Nurses and Midwives Association, since 1994. Executive Member, Australasian Palliative Link International, current. Palliative Care Nurse Consultant, International Education Programs, Timor-Leste, Nauri, Sri Lanka, India, Singapore, Thailand, Malaysia. Former Contributor, NSW Health Education and Training Institute. Former Lecturer, School of Nursing, Sydney University. Lecturer and Advisor, Australian College of Nursing, Palliative Care, current. Presenter, Palliative Care Nurses Australia Conference, Asian Pacific Forums and Montreal Whole Person Conferences, Canada. For distinguished service to nursing, and to medicine, in the field of haematology, as an expert clinician and mentor. Mentor, South Australian BloodSafe Programme, SA Health, since 2002. Member, World Federation of Haemophilia Nurses Committee, 1996-2002. Former Co-Founder, Australian Haemophilia Nurses Group. Former Member, Australian Society of Transfusion. Former Council Vice President, Haemophilia Foundation Australia. Former Contributor, Apheresis Graduate Certificate Curriculum, University of Adelaide. Coordinator, establishing South Australian Branch, 1999. Former Inaugural Chairman, 6 years. Co-Author, Guidelines for the Administration of Blood Components Transfusion, 2004. Former Coordinator, Guidelines Working Group. Former Member, Guidelines for Education Working Party. Nurse Consultant, Haematology Unit, 1983-2002. General Nurse, 1960 and 1969-1977. Dawn Thorp Annual Oration, Central Adelaide Local Health Network, 2015. Life Member, Australian & New Zealand Society of Blood Transfusion, 2003. Recipient, Jennifer Ross Award, Haemophilia Foundation Australia, 1999. Life Membership, Haemophilia Foundation of South Australia, 1998. Life Governor, Haemophilia Foundation Australia, 1995. Professor of Nursing and Head of School, 2009-2016. Published more than 40 peer reviewed research papers. Former Representative, Nursing Leadership Bank of Experts, International Council of Nurses. Committee, National Health Performance Authority. Board Member, Child and Adolescent Health Services, since 2017. Executive Director of Nursing Services, 1995-2008. Research Consultant, Centre for Nursing Research, current. Former Deputy Presiding Member, Nursing and Midwifery Board of Western Australia. Clinical Nurse Consultant, Melanoma Institute Australia, since 2016. Clinical Nurse Consultant (Melanoma), since 2006. Continuous Quality Improvement Facilitator, 2010-2011. Committee Member, Queensland Chapter, Australian College of Nursing, since 2007. Registered Nurse and Team Manager, Northern Territory Emergency Initiative, 2007-2008. Clinical Nurse, Community Hospital Interface Program, 2006. Community and Primary Health Nurse, Roxby Downs Health Service, 2000-2005. Excellence Award for Nursing Clinical Practice, South Australian Nursing and Midwifery Federation, 2005. Recipient, Australia Day Citizen of the Year Award, Roxby Downs City Council, 2002. Certificate of Commendation Cyclone Larry Response, 2006. Please let me know via the comments section below if I missed any nurses on the 2019 Australia Day Honours List. I’m happy to correct any oversights. This entry was posted in Blog and tagged honours, nurse, nurses, nursing, recognition on 26 January 2019 by Paul McNamara. Extracting information from www.gg.gov.au/australia-day-2018-honours-list, below are the Nurses named on the 2018 Australia Day Honours List. For significant service to nursing in the field of infection prevention and control, as a clinician and consultant, and to medical associations. District Infection Control Clinical Nurse Consultant and Nurse Manager, Infection Prevention Service, since 2005. Infection Control Consultant, since 1983. Board Member, Hunter Area Health Service, 1990-1993. Infection Control Supervisor/Consultant, Hunter Area Health Service, 1983-2004. Charge Sister, Royal Newcastle Hospital, 1972-1981. Project Officer, New South Wales Department of Health, 1990-1992, to develop infection control policy and education for health care workers in HIV/AIDS. A range of short term international consultancy roles for AIDS and Infection Control, World Health Organisation, 1989-1992. Assisted with establishment and work of Mackillop House (a respite care centre for HIV patients) in conjunction with Sisters of St Joseph and Make Today Count, 1989-2000. Fellow, Infection Control Association of New South Wales (FICA). Co-Recipient, Clinical Excellence and Patient Safety Winner, Australian Council on Healthcare Standards Quality Improvement Awards, 2015. Recipient, Community Award, AIDS Council of New South Wales. For service to community health in Western Australia. Registered Nurse, Western Australia and Northern Territory Section, Royal Flying Doctor Service, circa 1990s-2005. Registered Nurse, Road Primary Health Care Program, Royal Flying Doctor Service on the Road, 2008-2014. Skin Cancer Screening Consultant, since 2005. Member, Lions Club of Gingin Chittering. Served in a range of roles with Gingin-Chittering Anglican Parish including as: Lay Pastoral Minister. Australian Women Pilots’ Association: President, Western Australia Branch, 2008. Member, Victorian Branch, 1994. Committee Member, Bindoon Arts and Crafts Centre, current. Steward, Bindoon Agricultural Show, current. For significant service to nursing, and to nurse education, particularly in the field of drug and alcohol care, and to Indigenous health projects. Adjunct Professor, School of Nursing, since 2015. Professor of Drug and Alcohol Nursing, 2008-2015. Joint Chair, Professor of Drug and Alcohol Nursing, School of Nursing and Midwifery and Alcohol Services SA, 2000-2008. Clinical Nurse, Nurse Educator and Frontline worker trainer and Aboriginal workforce, 1988- 2000. Lecturer, Senior Lecturer and Researcher, 1996-2000. Leader and co-author, Alcohol, Tobacco and Other Drugs: Clinical Guidelines for Nurses and Midwives statewide, 2003 and 2012 (revised). Leader, co-author and educator, National Alcohol Treatment Guidelines for Indigenous Australia, Commonwealth Department of Health competitive funding, 2005-2009. Leader, co-author and researcher, Comorbidity in the North (CAN), Commonwealth competitive funding and SA Mental Health funding, 2011-2014. Leader, Coordinated Aboriginal Mental Health Care (CAMHC), Alcohol and Other Drug and Mental Health Program, 2000-2004 and 2005-2009. Convenor, First International Conference for Drug and Alcohol Nurses and Midwives, Adelaide, 2003. Drug and Alcohol Nurses of Australasia: Member, since 1991. Annual Adams, M, de Crespigny, C, and Harvey Oration, since 2011. Founder, Alcohol, Tobacco and Other Drugs (ATOD) Nurses and Midwives Statewide Action Group, 2000-2015. For service to nursing, and to international outreach programs. Leader, Burn Surgery Project, Nepal, 2014- 2017. Member, Burn Surgery Project, Nepal, 2004-2017. Member, Nepal Plastic Surgery Program, 1996-2004. Member, Cleft Lip and Palate Team. Volunteer/Fundraiser/Supporter, Adventist Development and Relief Agency, Nepal, 2004- 2017, (The Agency has supported education improvement initiatives for children in Nepal including sponsorship of over 160 children to attend school and upgrades to educational facilities). Nursing Unit Manager, Surgical Centre, Sydney Adventist Hospital, 1995-2017. For significant service to nursing, particularly in the field of palliative care, to people living with Motor Neurone Disease, and to professional groups. Palliative Care Nurse, since 1988. Was the first Palliative Care Nurse Practitioner to be endorsed in Australia, 2003. Palliative Care Nurses Australia: First Elected Chair, 2006. Treasurer, several years. Foundation Fellow, Australian College of Nurse Practitioners. Member, Motor Neurone Disease Association of South Australia (MND SA), since 1991. Panel Member, Australian Health Practitioner Regulation Agency, current. Academic Status, School of Medicine, Flinders University, current and has been involved with curriculum development. Recipient, Nina Buscombe Award, ‘for commitment to people living with MND’. Recipient, Churchill Fellowship, 2013. Recipient, Inaugural South Australian Palliative Care Nurse Award, 2009. Recipient, SA Premier’s Nursing Scholarship, 2000. For service to the community of Warwick. Member, Warwick Show & Rodeo Society Ladies Auxiliary, since 1977; Life Member. Registered Nurse, Warwick Benevolent Society, 1997-2015. Registered Nurse, 50 years. Recipient, Professor Ian Frazer Humanitarian Award, Warwick Lions Club, 2010. Recipient, Paul Harris Award, Rotary Club of Warwick, 2010. For service to aged welfare. Mercy Community Services: Chair, 2008-2014. Chair, Mercy Aged Care Singleton, 2008-2014. Director of Care, Anglican Care Newcastle/Lake Macquarie, 1995 – 1998. Director of Nursing, 1977-1984 and 1986-1995. Former Member, Anglican Diocese of Newcastle. Past Parish Councillor, Toronto Anglican Church. Diocesan Director of Aged Care Services, Samaritans Foundation, 1984-1986 and Volunteer, Toronto Community Relief Centre. Please let me know via the comments section below if I missed any nurses on the 2018 Australia Day Honours List. I’m happy to correct any oversights. This entry was posted in Blog and tagged honours, nurse, nurses, nursing, recognition on 26 January 2018 by Paul McNamara.